h Daiquiri, we are so glad that you got to stay there, since we get to see you at times. You all have a super duper day. It's been interesting to read about how each kitty came into your house. 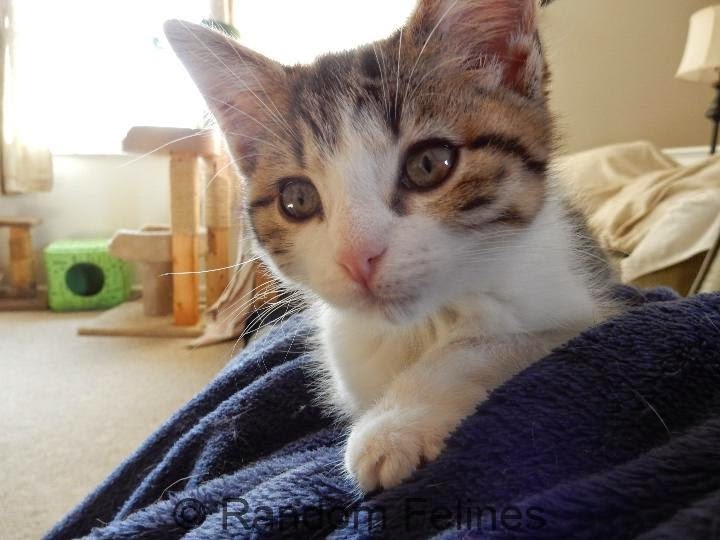 Daiquiri, such a cutie pie kitten photo! My human remembers when Daiquiri came to live with you guys! That is great that she later tested negative. glad you're negative because you're positive everywhere else. We remember her beginnings very well. We remember when Daiquiri joined your family. It must have been a relief to everyone when she tested negative. What a wonderful cat. It is so wonderful that she is now negative! Livw long and prosper, little Daiquiri!